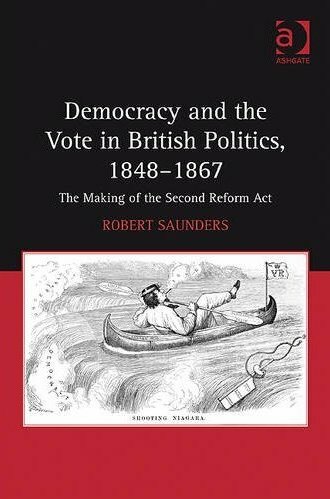 Democracy and the Vote in British Politics, 1848-1867: the Making of the Second Reform Act (Ashgate, 2011) read more! 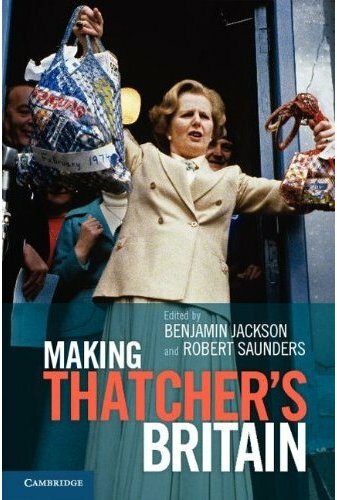 Making Thatcher's Britain ed. Ben Jackson and Robert Saunders (CUP, 2012) read more! ‘Lord John Russell and Parliamentary Reform, 1848-1867’, English Historical Review, cxx (2005). ‘The Politics of Reform and the Making of the Second Reform Act, 1848-67’, Historical Journal, 50 (2007). ‘Chartism From Above: British Elites and the Interpretation of Chartism’, Historical Research, lxxxi (2008). ‘Parliament and People: the British Constitution in the Long Nineteenth Century’, Journal of Modern European History, 6 (2008). ‘"Let America be the Test": Atlantic Democracy and the British Constitution, 1832-1867’, in R. Livesey and E. Dzelzainis (eds. ), The American Experiment and the Idea of Democracy in British Culture, 1776–1914 (Ashgate, 2013).